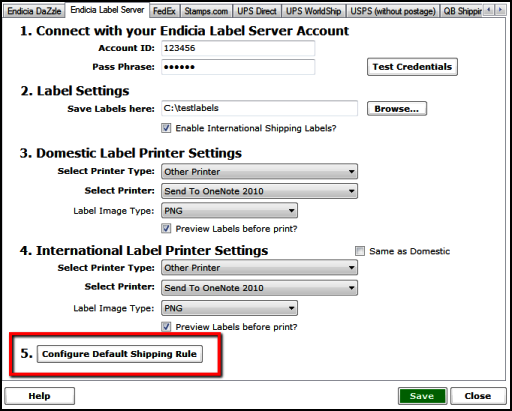 To configure a default printer for use with Endicia Label Server and / or to set up a default label location, go to the Shipping menu in Unify Desktop and click on Configure Shipping Providers. 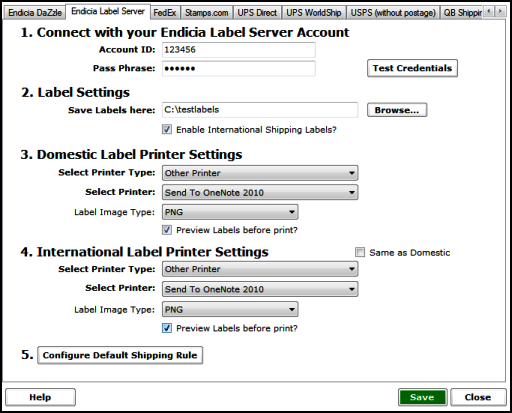 When you are using it for the first time, you will have to enter your Endicia Label Server Account ID and Pass Phrase. 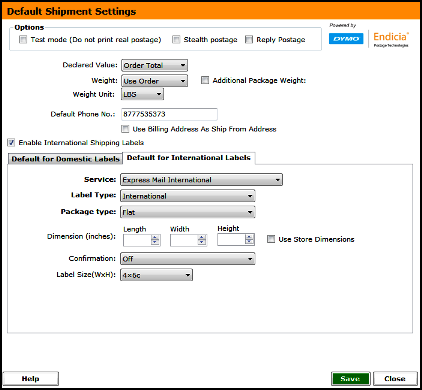 These settings can also be accessed by going to File >> Configure store >> Shipping, and then clicking on the relevant shipping provider. 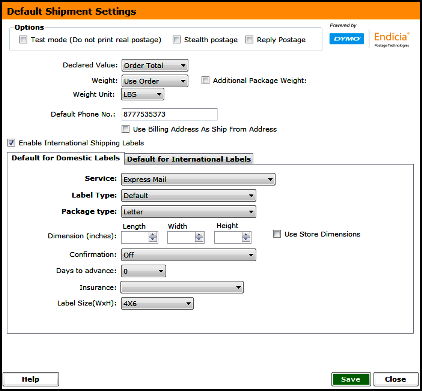 To set the default shipping options for Endicia Label Server, go to Shipping >> Configure Shipping Providers >> Endicia Label Server. When you are using it for the first time, you will have to enter your Endicia Label Server Account ID and Passphrase. Once done, you can set the printer defaults as required and then click on Configure Default Shipping Rule to access the default settings.